The Homefront team spent several days exploring Dubai as a beach holiday and luxury shopping destination, with an authentic Arabian blend of “old and new” and a stylish Euro meets a bit of Vegas glitz vibe. Once a land of barren desert sands inhabited by nomadic tribes, the region was forever changed by the discovery of oil in 1958. Commercial growth and infrastructure development took on a sudden and frenetic pace, and the oil-rich city of Dubai was born. Desert Classic, the Dubia Tennis Championships and the world’s richest horse race—the city has earned its stripes as a well-mannered world favourite. 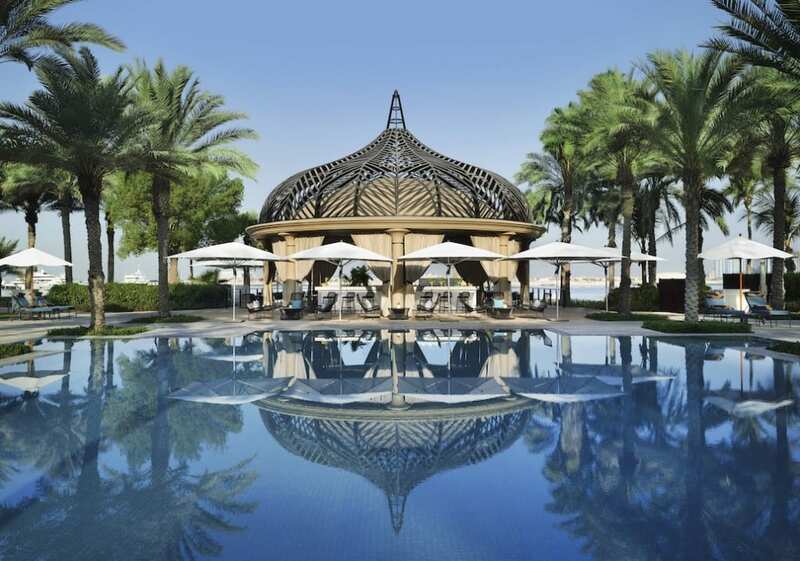 A flagship hotel from Dubai’s early days, the 20-year-old One&Only Royal Mirage is a majestic oasis of calm amid the city’s constant motion, and an obvious choice for our first few nights. With a noteworthy reputation, 65 acres of lush green gardens mixed with regal arches, domes and towers, and a coveted kilometre of beachfront overlooking Palm Island Bay, the resort is a bastion of world-class hospitality. Located right in the heart of “new Dubai” with sight-lines to the city’s skyscrapers and ongoing development, the Royal Mirage is considered Dubai’s most stylish beach resort. 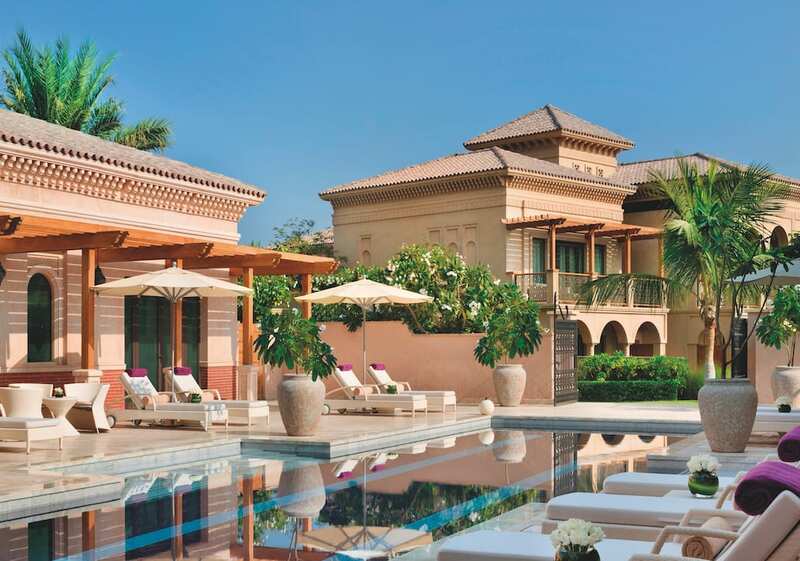 Its three distinct enclaves—The Palace, Arabian Court, and the Residence and Spa—flow seamlessly across the property, each with its own identity. 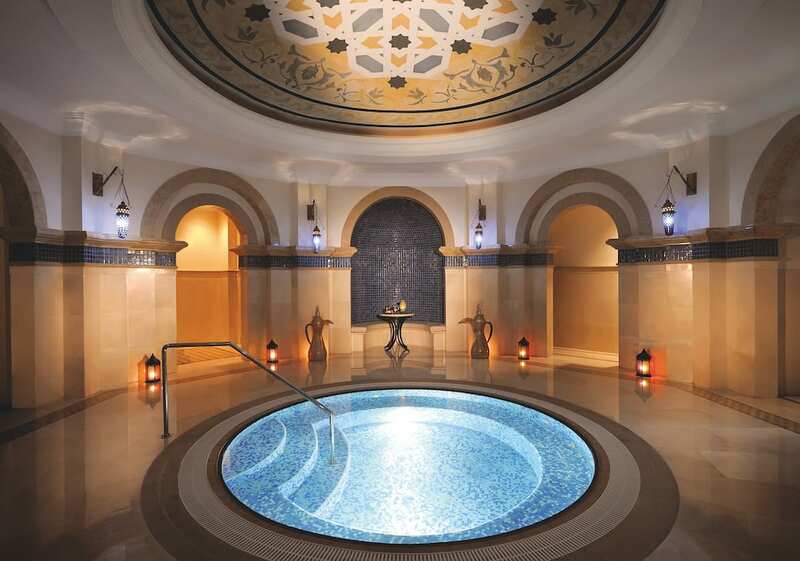 The “original” Palace enclave has an Arabesque sense of place that rekindles the grandeur and dignity of “Hollywood” Arabia. Albeit equipped with the most modern technology, it’s a grand place to pause that allows us to share in a more traditional experience. 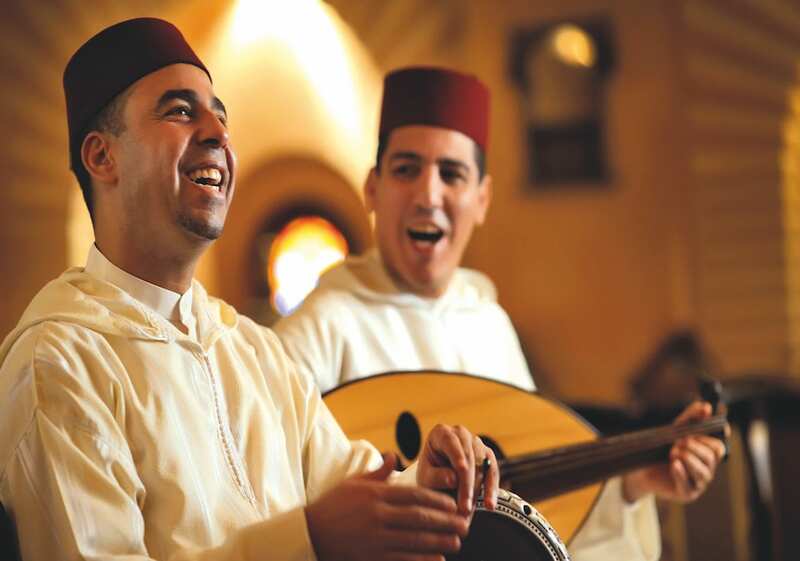 In contrast, the Arabian Court’s dramatic architecture, handcrafted mosaics and grand fountains combine with hip restaurants to provide a more trendy, vibrant feel for those looking for a little excitement. And when we enter the Residence and Spa enclave, it’s another world again. Privately elegant and catering to the most discreet of guests, the Residence is an intimate haven with its own dining room and library, where both royalty and the otherwise rich and/or famous can hunker down in peace and quiet. The über-contemporary sister to the Royal Mirage, and just a short boat transfer across azure waters, is the One&Only The Palm Dubai. Cool, curated and completely luxurious, it sets the tone for a sizzling hot spot for the “see and be seen” crowd. Walk out of your beachfront suite right onto the sand and into the calm Gulf waters. If a different shade of wet and blue attracts you then a magnificent pool awaits, with staff at the ready and private poolside villas to provide shade and as many amenities as the suite you have left behind. As is befitting the marriage of cultures and lifestyles that defines Dubai, The Palm’s “afternoon tea” is a treat. Petit fours, macaroons and all manner of sweet and savoury provide a compelling reason to briefly step out of the sun. We couldn’t leave for home without giving our Amex Black Cards a workout. Newer than the Mall of the Emirates (which is also known for the Ski Dubai indoor ski resort) and certainly much grander, The Dubai Mall is a mecca for well-heeled fashionistas, with grandiose shops that represent every conceivable luxury brand. Worth a visit—or two—the famous mall is also where we find one of the largest suspended aquariums in the world: The Dubai Aquarium and Underwater Zoo. The 10 million litre tank, located on the ground level of the mall, is said to house 300 sharks and rays and thousands of aquatic creatures, representing 140 species. But let’s get back to the shopping! This is not a replica of the average North American mall. The best of the best are lined up side by side, with each store window a tease and treat to enjoy. Better yet, bespoke tailoring is offered with next-day service. And we must give a shout-out to our friends at Ermenegildo Zegna, who met our flight at Dubai Airport at 1.00 am with a last-minute purchase that we made over the phone. Shopping and service second to none. If you go: September marks the end of summer, but you can still expect highs of nearly 40°C on some days. Our favourite, the Desert d’Orient, follows true oriental tradition, beginning with a silk indulgence milk scrub and a Guerlain body wrap to prepare the skin. With steam to eliminate toxins and muscle pain, and rounded off with a personalized massage, this treatment leaves your skin silky soft and plunges you into a relaxed state of mind. With accolades for service and attention to small details, my recent flights and lounge visits with Emirates highlight the lengths to which airlines will go to establish their own imprint at the start and end of a guest’s vacation or business trip. all the expected perks on the ground and in the air, with the additional privacy of upper deck special seating on our overnight flight from Dubai to Toronto. Priority-tagged luggage, boarding at leisure and an immersive business-class suite satisfy the expectations of business-class travellers. 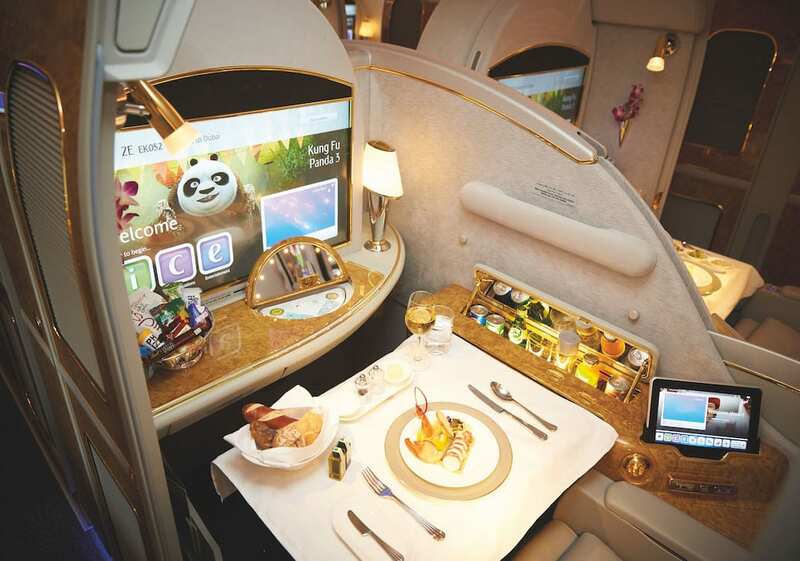 But looking a little closer, one can see how Emirates creates a different experience in subtle but meaningful ways. Nice touches: Business and first-class passengers are given a separate boarding ramp and, at the airline’s home port in Dubai, a separate boarding gate to each flight. Our priority-tagged luggage not only appears quickly on a separate baggage carrousel, but is also pulled off and laid out for us, ensuring effortless reclaim with zero stress or effort. 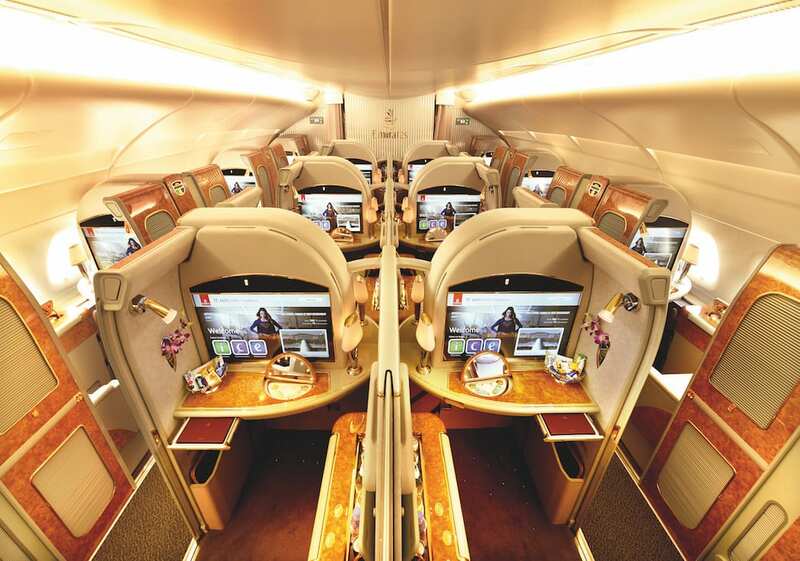 On-board its fleet of Boeing 777 and Airbus A380 aircraft, Emirates elevates the standard fare of lie-flat seats and large-screen monitors with extensive movie and entertainment options (here, choice is the name of the game). Meal and snack times are a pleasure, with healthy, fresh options served on restaurant-quality plates and cutlery, with china teacups and a most suitable non-alcoholic and cocktail/wine selection. Best breakfast ever btw…Well done, chef! His-and-her Bulgari amenity kits with a few little extras also make for a more luxurious flight, as does the top-floor lounge, where cakes, canapés and cocktails are always available. Where some airlines check those boxes as proof of their commitment to the business-class traveller, Emirates raises the bar. Mattress pads, blankets and pillows are converted by helpful staff from a comfortable seat to an even more comfortable bed. Multilingual, attentive and numerous cabin crew continuously move throughout the cabin to customize every element of the top-notch service and dining experience. There is no disputing that each member of the cabin crew will log their 10,000 steps on a long-haul flight. 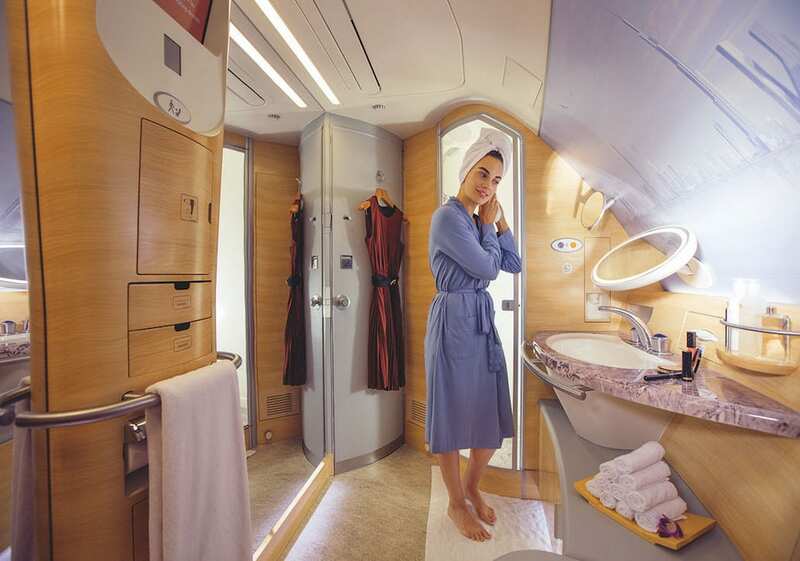 On Emirates, it’s obvious that getting there can be a most pleasant experience and, if you’re travelling with friends and family, yes, a fun one.